Jerry Slocum has one of the world's largest puzzle collections. Housed and honored in a museum in Beverly Hills, his collection includes over twenty thousand different types of puzzles. It was there that we first got the idea to make this puzzle. Thanks to the valuable efforts of the distinguished designer, NOB, a classic puzzle is born again, revitalized. 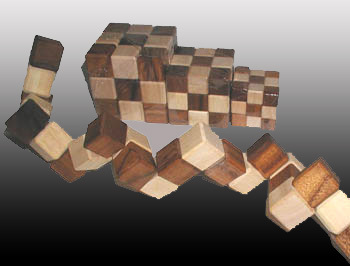 Feel the power of two of the world's greatest puzzle masters endowed in this one puzzle. The key word is succession.